The 65 SX is a fully-fledged piece of racing kitsports equipment for young pilots aged around 8 to 12 years with a body height of up to 1.60m. 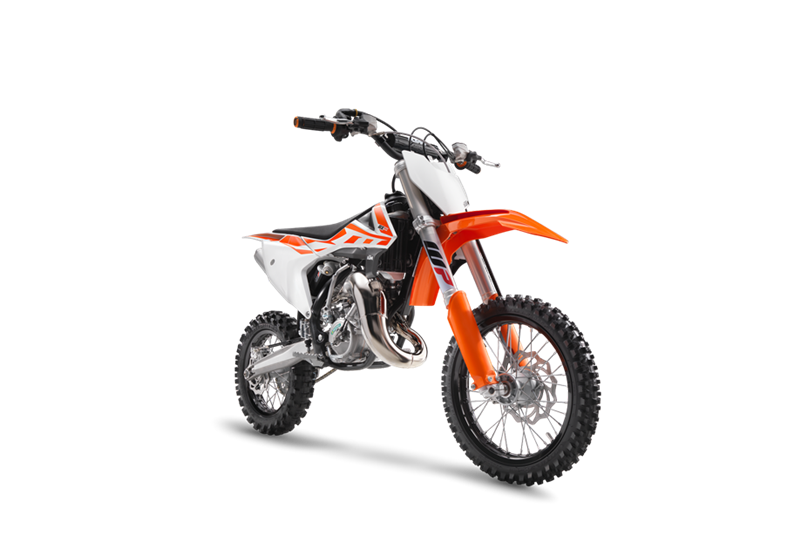 This year’s top ministudent features revolutionary WP AER 35 front forks, cool graphics and a lot of detailed improvements that setting the standard in terms of power, riding dynamics, equipment and craftsmanship. 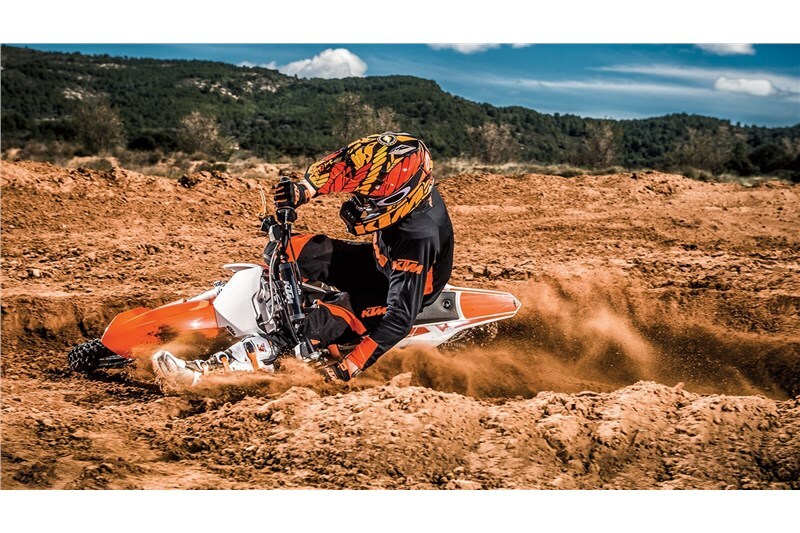 Like its larger counterparts, the 65 SX is truly READY TO RACE for its young competitors. 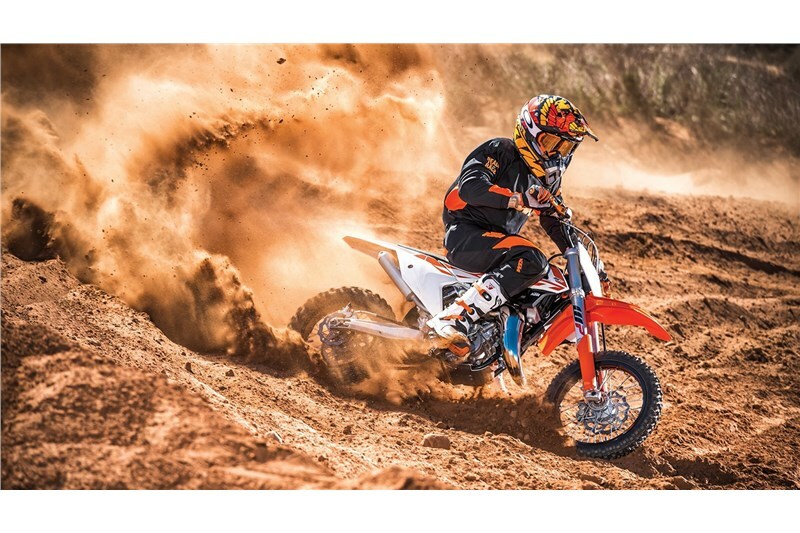 REAR SUSPENSION On the rear wheel a WP monoshock linked directly to the swingarm provides excellent damping performance and is fully adjustable in order set the damping perfectly to rider’s preferences and track conditions. The rear wheel travel is 270mm. 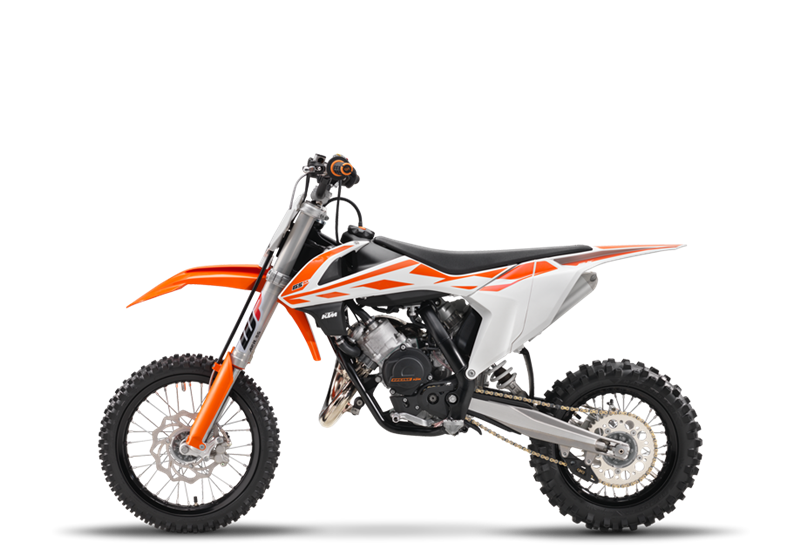 WHEELS Like the big KTM factory racers, the 65 SX has super lightweight, black anodized, aluminum rims providing highest strength and safety. The OEM knobbly MAXXIS tires grip superbly on any surface. BRAKES The 65 SX is fitted front and rear with massive 4-cylinder calipers that grip lightweight wave brake discs of 198mm front and 160mm rear diameter. The hydraulic brake system is easy to control and ensures the best deceleration and the highest standard. 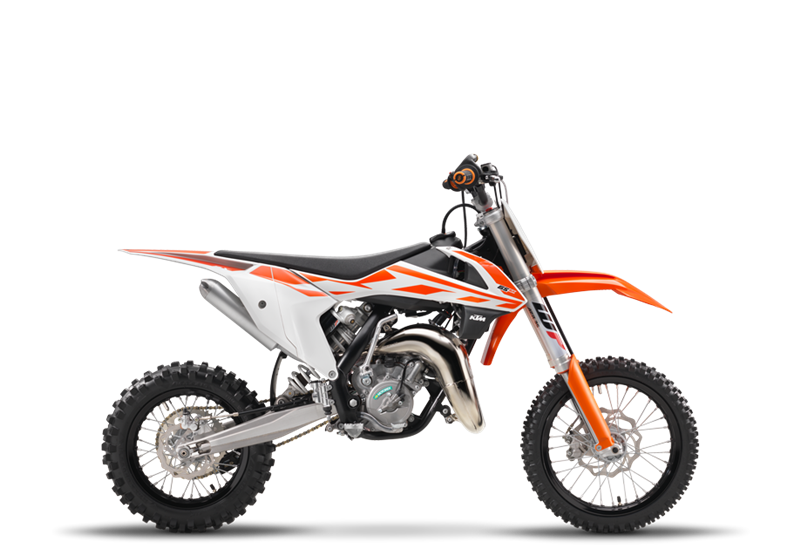 ENGINE The 65 SX benefits from cutting-edge 2-stroke technology and an easy to shift 6-speed transmission with a hydraulic clutch. The cylinder, with its pressure controlled exhaust valve, provides class-leading power and plenty of torque. BODYWORK The bodywork is derived from the full-size SX models and provides perfect ergonomics, well thought-out contact points for the rider and maximum freedom of movement. In addition, smart design solutions for the new front and rear fenders are prime examples of an intelligent design, which guarantees maximum stability through a well thought-out structure and mounting. FRAME The modern frame produced by WP Performance Systems is made of lightweight, high strength chromoly steel profiles and combines maximum longitudinal stiffness with optimum torsional rigidity. It guarantees easy handling and precise cornering, but also outstanding stability. The subframe, made of lightweight aluminum, is fitted with 4 screws to the frame. 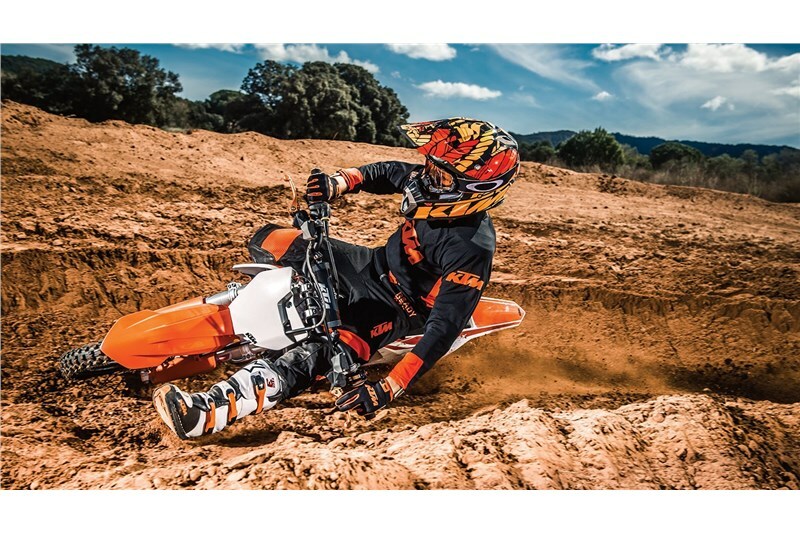 GRAPHICS Derived from the full-size SX bikes, the graphic design makes the new 65 SX look even cooler. Its frame has a super rugged polymer coating in cheeky black. HANDLEBARS The anodized handlebars made of a high quality aluminum alloy are distinguished by the best ergonomics and the highest strength. A crash pad on the handlebar brace protects the rider from rough contact. RADIATORS An intelligent cooling circuit with integrated crankcase cooling and two radiators improves the heat dissipation and ensures a constant temperature balance for consistent, high performance.